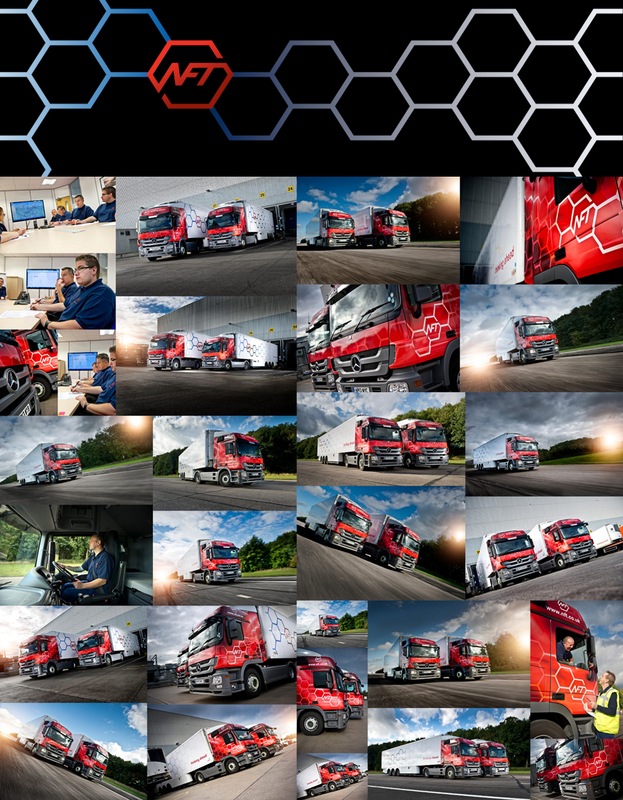 This week saw commercial photographer Tim Wallace working with one of our long standing clients 'NFT' to create new work for marketing, brochure and corporate use. 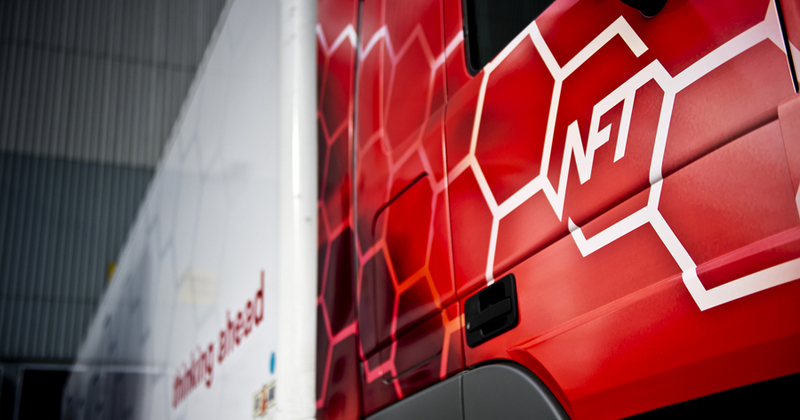 Recently NFT made some changes to the 'livery' of their fleet and given the size of the operation through out the UK and the hundreds of vehicles that involves this was a perfect time to bring up to date their commercial photography library of images and make use of the new livery. 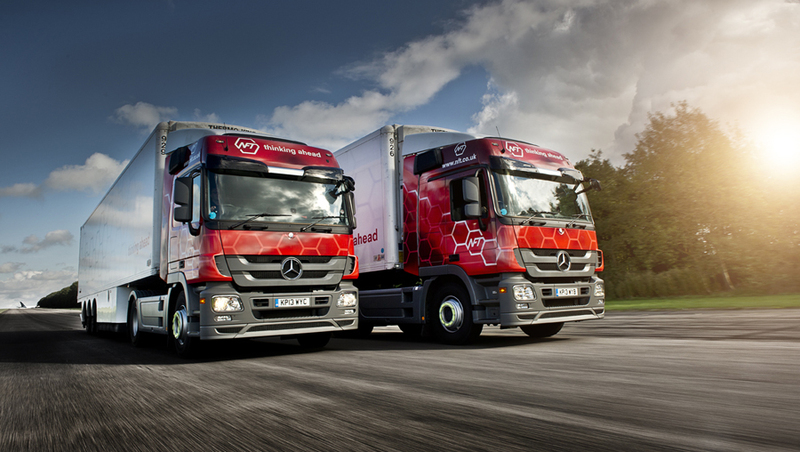 Our client 'NFT' contacted Ambient Life photographer Tim Wallace to assist in this project, and commissioned a series of photographs to show their new branding in a dynamic and modern style and this week Tim worked with the company shooting on location at one of their largest warehouse sites in Daventry as well as on the a proving ground to allow him to capture the new Mercedes tractor - trailer units in the new livery. 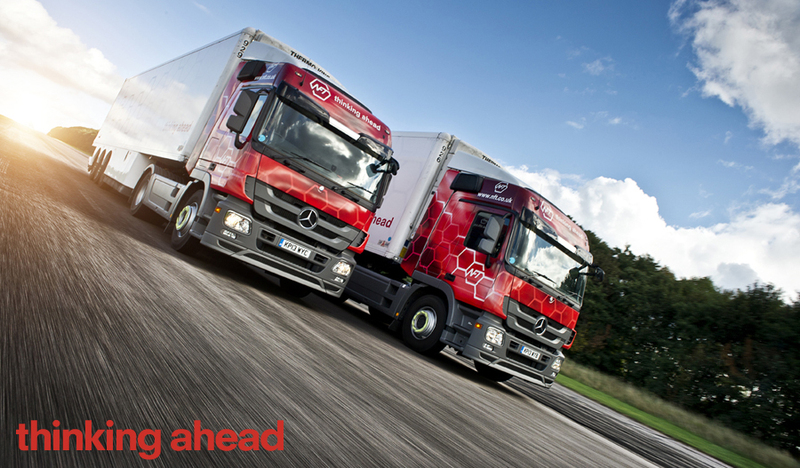 The project was completed over just one day and was not without its challenges, not least how to shoot multiple large vehicles moving at speed in a safe and controllable environment. This was achieved with the help of the proving ground facility who we contacted to assist with the project. The facility offered photographer Tim Wallace the perfect opportunity to capture some dramatic images that would normally not be possible on the open road. Safety was a paramount concern through out the shoot and a great many of the shots that Tim produced were achieved by using a modified open back chase car to shoot from with of course the use of a full body harness that Tim designed for just this sort of work. 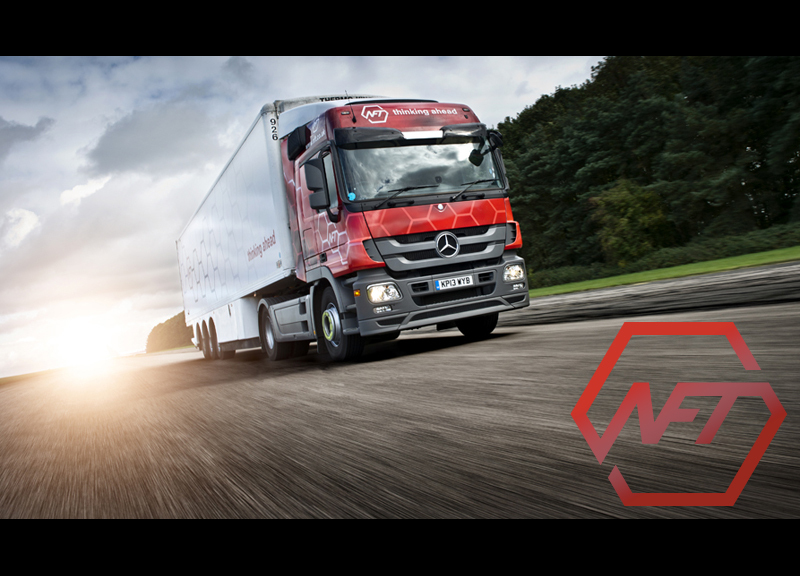 NFT Distribution provides Primary and Secondary Chilled Distribution services to all major retailers and manufacturers through their transport, warehousing and logistics solutions and is a specialist in both chilled and fresh food, although they also deal with ambient, frozen and grocery goods. When a food item has a short shelf life, it has to get from the factory and into the store in the shortest possible time, so that the consumer is able to enjoy it at its best. 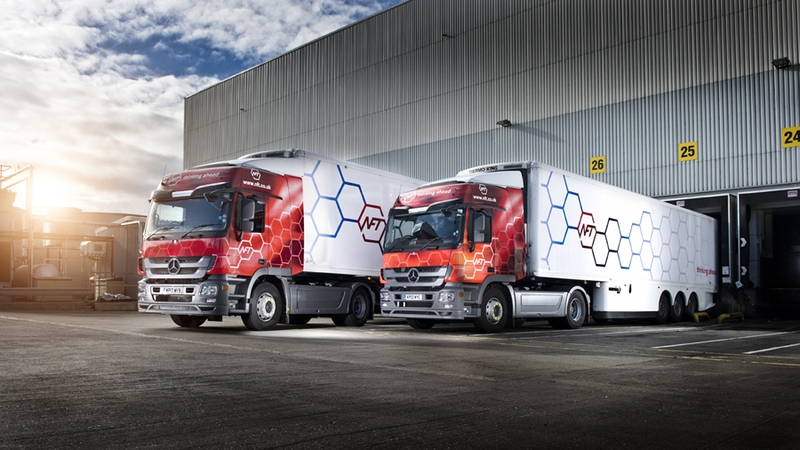 NFT estimate that there's a one in three chance that the fresh chilled food item you have just purchased from the supermarket will have travelled on an NFT truck at some point in its life. To illustrate the tight timescales that NFT are working to, think about that freshly made sandwich you just purchased from a leading supermarket. It's possible that your sandwich only came off the production line around 14 hours ago, and since then has been wrapped and boxed, has been collected by NFT and brought into one of the NFT depots, where it has been consolidated with other products and delivered to a regional distribution centre. There, it was 'picked' for that particular store, and subsequently delivered, unpackaged, put onto the shelf.